This jalapeño cheese ball is a delicious party snack that’s a little bit kitschy, a lot delicious, and sure to be a crowd pleaser! Just a few ingredients: cream cheese, jalapeños, cheddar cheese, bacon, and pecans. It’s a perfect appetizer for any get-together, especially at the holidays! Scroll down for video! To me, Christmas season is cheese ball season. Woe is the holiday gathering that does not have at least one cheese ball for me to dip a zillion crackers into. Have I told you the story about the work Christmas party where my BFF and I ate approximately 3/4 of the mango chutney cheese ball so that we could avoid uncomfortable interactions with our coworkers? I’m pretty sure I have (I definitely did in the story about this other easy cheese ball recipe) I am definitely a “linger by the refreshment table” sort of girl. It’s a blessing and a curse, really. I certainly do not need a holiday or a party to enjoy a cheese ball, though. Show me any random Saturday night and I will show you a cream cheese based snack that Philip and I can enjoy in front of our favorite shows on Hulu. Actually, we enjoyed this jalapeño popper on the Wednesday night before Thanksgiving, when I had been cooking all afternoon and just couldn’t quite bring myself to assemble a full meal. And then again for a mini-lunch on Thanksgiving day, because my family ate late in the day. Cheese balls seem pretty kitschy, and I’m sure that you could dig around in your mom or grandma or even great-grandma’s recipe file and find a few cheese ball recipes. You know what, though? Kitschy food can still be darn tasty, and I promise you that I’m only on board for flavor. I don’t care too much about trends (though I’ll hop on board if they’re delicious). You probably won’t catch me posting any aspics on here, but I will never apologize for my cheese balls. There’s no stuffing, roasting, grilling, or frying involved, though, and that makes this easy cheese ball approximately 1 million times easier and less mess than an actual jalapeño popper. I used canned diced jalapeños, which meant that I didn’t have to slice and dice a bunch of peppers, but you could definitely sub in 1/2 cup of diced fresh jalapeños, or add them to the canned peppers to increase the spice level if you’re brave. Me, I found the faint tinge of spice provided by the canned peppers to be perfect for my wimpy taste buds. 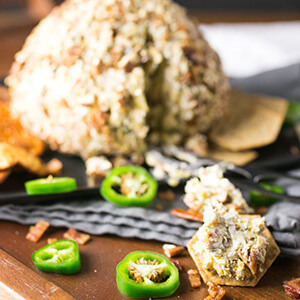 But you…you can feel free to customize this jalapeño cheese ball to meet your spice needs! You could also try my Reuben cheese ball for something completely unexpected! Shared on The Weekend Potluck on The Country Cook! Click here to save this recipe to your Christmas or party boards on Pinterest! 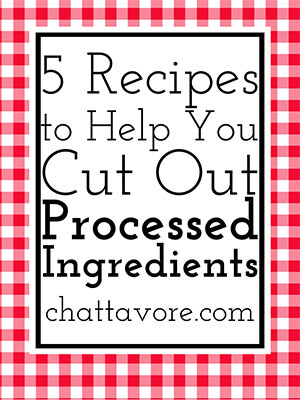 Place all ingredients, including ranch seasoning ingredients, EXCEPT pecans, in a large bowl. Stir until well combined (I used my Kitchenaid mixer with the paddle attachment on low speed to do this). Form into a ball and roll in the chopped pecans until thoroughly coated. Chill for at least an hour. Serve with crackers. I did not include the time to cook the bacon in the prep/cook time.